created by our head chef. & your choice of vegetables or salad. Goes up $250 each draw day until it reaches $5000. Join us for Happy Hour every weekday from 5:00 pm to 6:30 pm. Go into the running to win an ever-changing range of prizes in our Monster Raffle. All profits go towards supporting the North Ballarat Cricket Club. Looking for great quality food in a family-friendly environment? 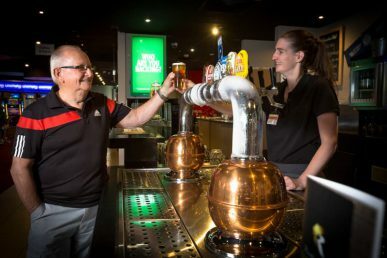 Our sports bar is always ready for action with live sports thanks to Fox Sports on our big screens. Whatever the event, whatever the size. 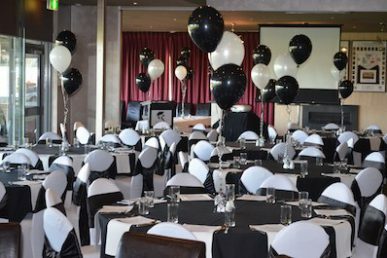 We have the perfect function room to make yours a success. LOOKING FOR GREAT FOOD AND ATMOSPHERE IN BALLARAT? 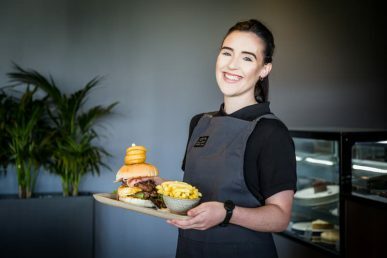 Only minutes from the CBD, our bistro and function center overlooks Mars stadium and provides a great atmosphere for both casual dining or a visit on game day. Enjoy a delicious meal in our Bistro.